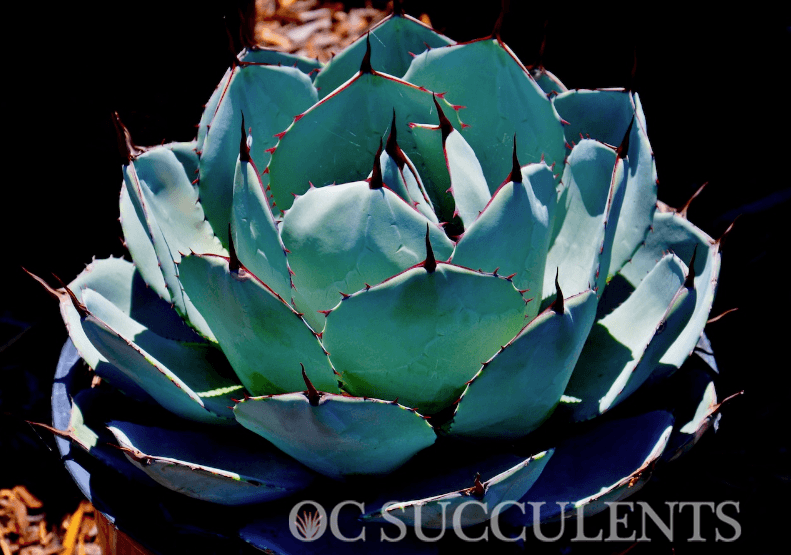 A stunning blue grey agave that many people recognize and love. Defined as a medium small agave, but it can form clumps larger that 5’ wide. Individual plants typically only reach 3’ tall by 3’ wide. However, this slower growing agave has been reported to reach up to 4’ across and will live many years before flowering. Extremely hardy plant, able to tolerate winter lows of 15 degrees and shouldn’t be a concern in any Southern California garden. Commonly mistaken as A. Huachucensis, but the leaves vary just slightly and Truncata is also more compact. Great in landscapes, containers, or any application. This boutique agave is a welcome addition for all.